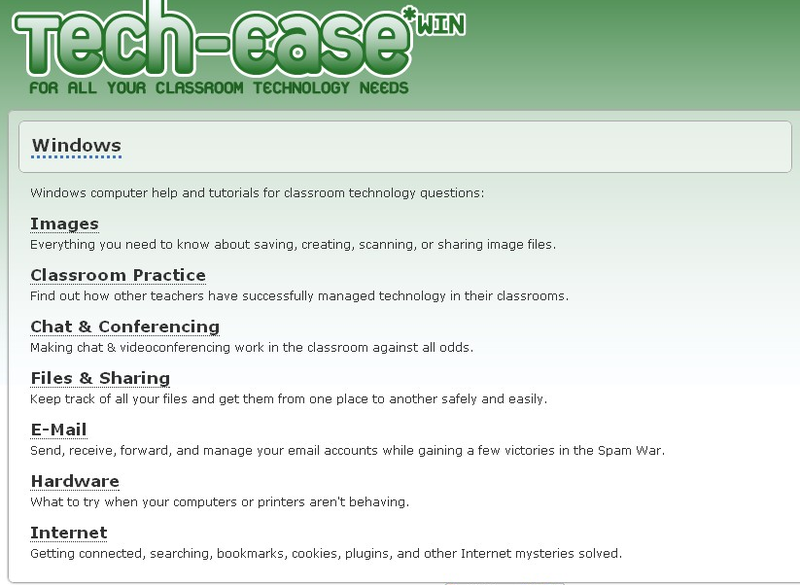 Tech Ease is a site by the University of South Florida that provides tech support resources for educators. The site is broken down by Mac, Windows, and accessibility uses. 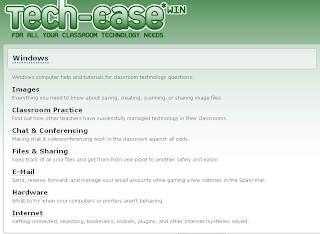 Under each, there are subtopics such as using computers in the classroom, images, file sharing, chat, videos, email, hardware, the internet, and much more. There are ideas on using technology for accessibility with disabled students also. The site is easy to navigate and has a huge amount of information available for educators. This is site you should definitely share with your colleagues.